The traditional time for a holiday is all but over but there is no reason you can’t escape for an autumn getaway. Very few places have the atmosphere and beautiful natural environment offered by the Lake District and in Autumn it comes into its own. Renting your own private holiday home in the Lake District for just a couple of nights, or even a weekend, this Autumn is a wonderful way to see one of the most beautiful parts of the UK. Although we offer many great Lake District deals in the coming months, here are five additional reasons why the Lake District is a wonderful choice for an Autumn. The colours of Autumn are beautifully evocative and wonderful to experience in all their glory. Much better than a trip to your local park, The Lake District has an abundance of trees of all kinds shedding their leaves and creating that mish-mash of beautiful colours. The Gardens at The Brockhole Visitor Centre are awash with the reds, golds and yellows that Autumn is known for and the carpets of leaves overlook Lake Windermere. 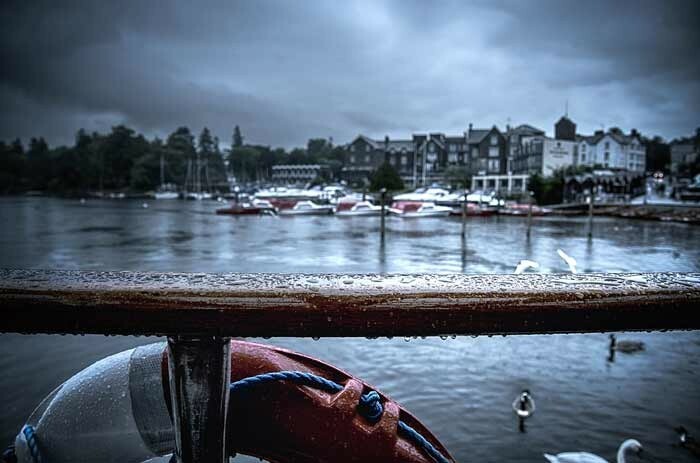 This makes Autumn the perfect time to take a boat trip on Windermere and immerse yourself in the colours of Autumn. For accommodation, discover our Windermere cottage, Above Cot. Nothing says Autumn quite like dusky afternoons and a chill which sends you looking for the nearest snug. The Lake District is dotted with traditional pubs and inns so you can take a break from admiring the scenery and warm up for an hour or two. Roaring fires and wonderful food and drink are a staple. 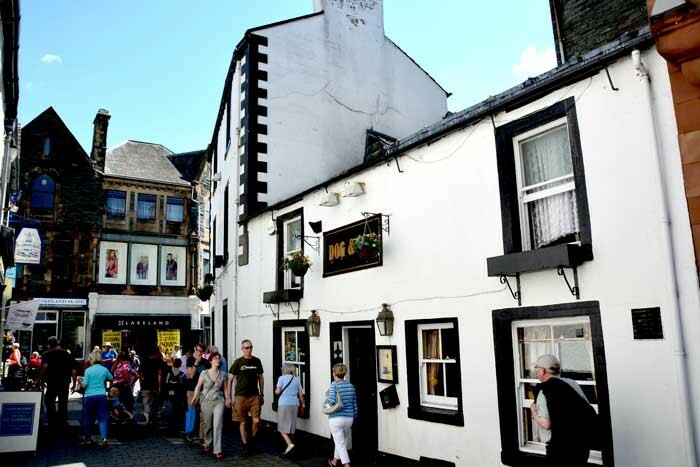 The Dog and Gun in Keswick is a great example of a traditional pub doing a fantastic job, with the added twist of a menu for dogs as well as people! The Lake District invites you into the world of Beatrix Potter and with the summer crowds dying down, Autumn is your chance to experience and appreciate the famous children’s author’s home. 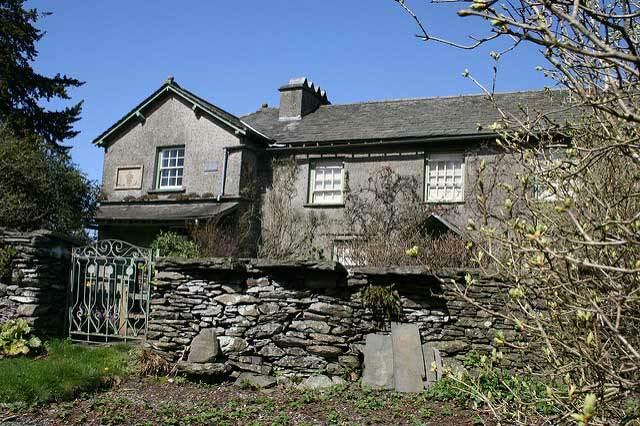 You can visit her home, Hill Top, in Ambleside and also stop by The World of Beatrix Potter in Bowness-on-Windermere. 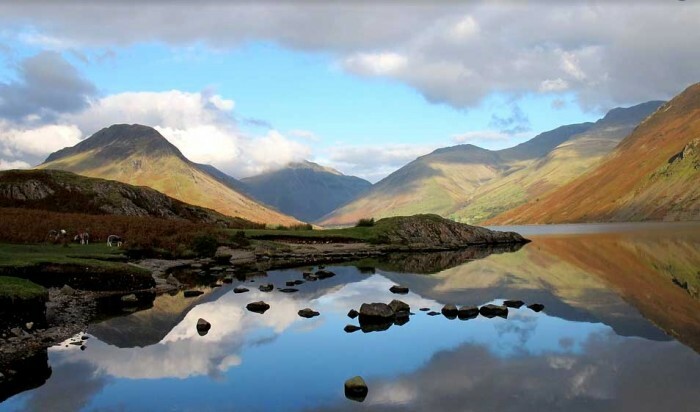 Whether travelling with children or not, Potter is at the heart of the Lake District and it’s a wonderful opportunity to immerse yourself in her world. As already mentioned, Autumn is not high season in the Lake District. If you are looking for a peaceful and relaxing break away from the hectic nature of modern life, you need look no further. You can visit all the attractions and sights that interest you without queues or crowds. Similarly, the beautiful vistas and picturesque scenery are uncluttered so you can practice your photography skills and capture many memories. There are many events and special occasions every Autumn in The Lake District but Kendal Mountain Festival is particularly popular. Not only is it the world’s biggest mountain festival, it is also right in the heart of the Lake District and certainly worth visiting. It takes place from 17th until 20th November and incorporates sports, literature, film, art and much more, all with mountains and mountaineering as a connecting theme. Mountains are almost as integral to the Lake District as the lakes themselves and this festival is a chance to embrace a key part of local culture and tourism. The Lake District is beautiful at any time of year but in Autumn there is something special about the area. Chocolate-box villages are even more beautiful and whether you explore the area on foot, by cycle or even by car, you can appreciate the profound effect Autumn has on this area of outstanding beauty. Whether you spend your visit huddled up in the many great pubs and inns or embracing the great outdoors, the Lake District will not disappoint this Autumn.